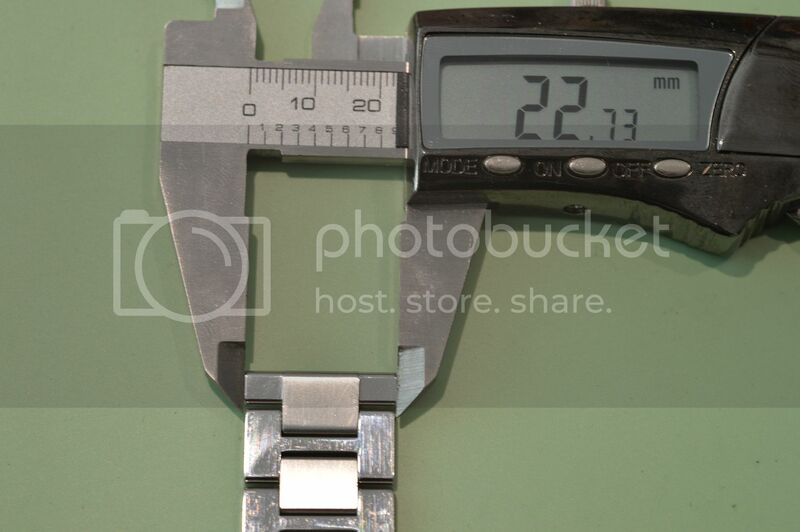 TimeZone : Cartier » How to adjust Cartier Tank Solo XL metal bracelet. Help required please, the links seem to held in place with screws. I have tried youtube but to no avail. You might regret doing it yourself. "Let's get off to a really bad start. "-John O'Hara "...a black silence...almost as violent as laughter." - J.C. The tip of the screwdriver should be an exact fit to the screw's slot, or you risk damaging either the screw or the case (or both). After that, it isn't rocket science. Just make sure you note which way the screws enter the link. Don't attempt this project in a room with deep shag carpet. Try to determine if you want to remove a link from the 12:00 or 6:00 side, as that will shift the location of the clasp on the underside of your wrist. The old adage "measure twice, cut once" applies here. My only complaint about the Cartier Tank Solo XL bracelet is that, as far as I know, Cartier does not make half-links for the bracelet; adjustments can only be made in one full-link increments. I actually purchased an extra link with the thought of fettling my own half-link. I decided to snap a few of my Cartier Tank Solo XL. First, a shot of the lug width, which answers your earlier question about the lug width. The bracelet is slightly smaller. The bracelet is comprised of links, each unit of which consists of two pieces, a rectangle and a large "H" or bridge shaped piece, connected by two threaded pins. The "H" is polished on one side (the outer face of the bracelet), and brushed on the inside; the rectangle is brushed on both sides. I re-discovered that the Cartier bracelet screws are an ingenious design. The bracelet screw is actually a long pin (rod), with a threaded screw-head tip being attached by a rotating wire to the pin. The pin acts as a hinge, while the threaded tip threads into the bracelet link; the rotating pin allows the bracelet to flex without asserting any unthreading forces on the threaded screw-head that hold the pin securely in place. This works better than several of my Rolex or Omega bracelets that merely have long screws (one piece) and have required Loctite® to remain fastened. So, get a screwdriver (I used a 3/64" one) and get to work! 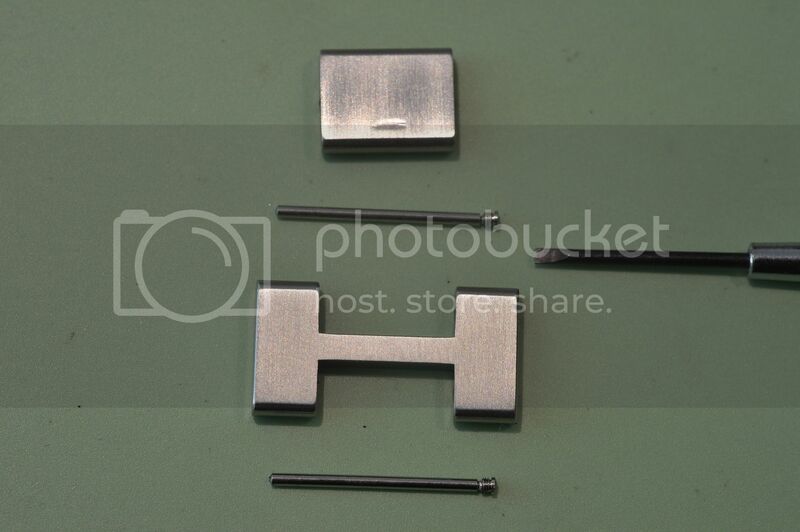 The bracelet pins in the current VC Overseas bracelet are exactly like those, just for the info. 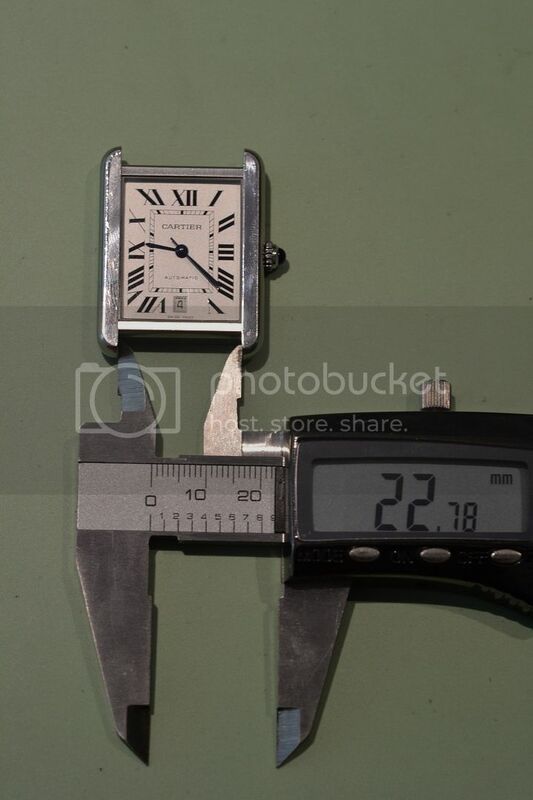 Previous Topic: Cartier Tank Solo XL Band width.